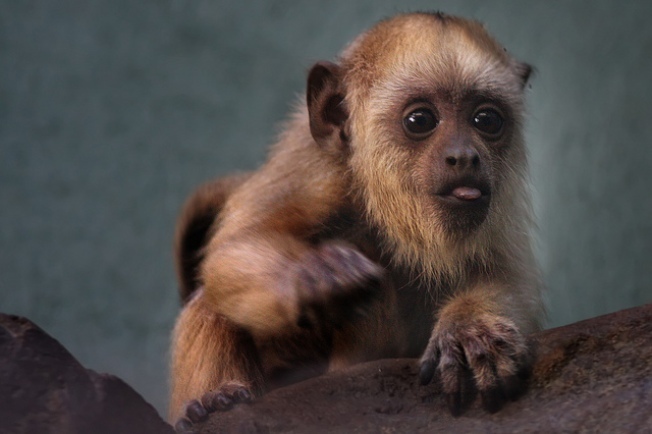 This poor, poor baby howler monkey has no name -- and obviously, his life is not complete unless he has been given some kind of label by people on the Internet. That's where YOU come in! The National Zoo is asking people who like cute animals (so, everyone) to vote on a name for the new baby, who was born March 22. Sumaq: means "beautiful" in the Quechua language. Says the zoo: "The baby’s golden locks and chocolate brown eyes prompted the keepers to suggest a name befitting a handsome boy." Orejas: "The baby may blend in perfectly with 5-year-old mother Chula’s fur, but one feature (or two) makes him stick out: his large ears," says the zoo. "For this reason, keepers chose the name Orejas, a Spanish word meaning 'ears'." Nando: Nando, short for Fernando, means "courageous." 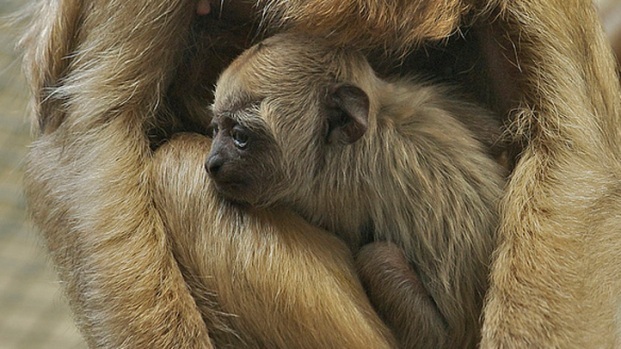 Says the zoo: "At first, the baby was shy and clung tightly to his mother. In the last few weeks, however, he has grown increasingly independent and active, swinging by his tail and walking from branch to branch. 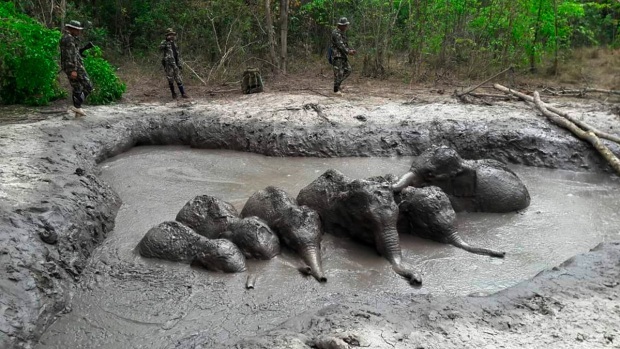 Keepers expect he will become more daring over the next few months." Loki: for the Norse mythological god of mischief. "Inquisitive from a young age, the baby howler explores his environment by touching and tasting everything around him," the zoo says. "He has even tried to steal mom’s food." Voting will close at noon on Friday, June 22, the day the little critter turns three months old. The baby seemed "bright, alert, and increases its activity and independence day by day," keepers said shortly after his birth. He's the first surviving howler monkey in the zoo's history. Visitors can see the howler family on exhibit in the Small Mammal House.